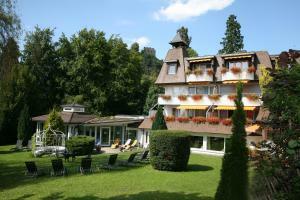 Welcome to TOP CountryLine Hotel Ritter Badenweiler on our reservation portal PensionHotel. You get comprehensive information about selected object TOP CountryLine Hotel Ritter Badenweiler, about prices, facilities and attractions in the surroundings. 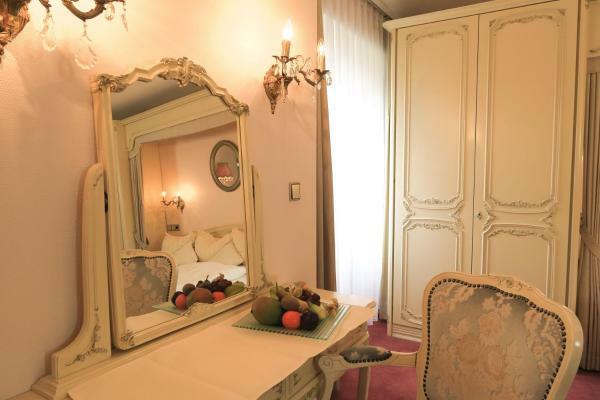 Here you will find the address and all contact information for the selected object TOP CountryLine Hotel Ritter Badenweiler, if they do not include contact information, you can check availability, or immediately fill out the reservation form. Enjoying wonderful views of the Römerberg hill and Baden castle ruins, this 4-star hotel in the Black Forest spa resort of Badenweiler offers extensive wellness facilities and tasty cuisine. Set within its own park, the TOP CountryLine Hotel Ritter Badenweiler provides elegant rooms with thermal water from the Römerquelle spring. WiFi use is provided free of charge for tablets and smartphones in the whole hotel. Guests can enjoy free use of the Ritter Badenweiler's spacious wellness area, complete with indoor pool, saunas, sunbathing area, and large hot tub. A wide range of massages and cosmetic treatments can be booked for an extra fee. Enjoy top-quality specialities from the German, Swiss, and French country triangle in the Ritter's welcoming restaurant. Make sure to try the excellent wines. If the guest booked half board and is arriving after 20:30 dinner will not be served. However, can then have lunch the next day.